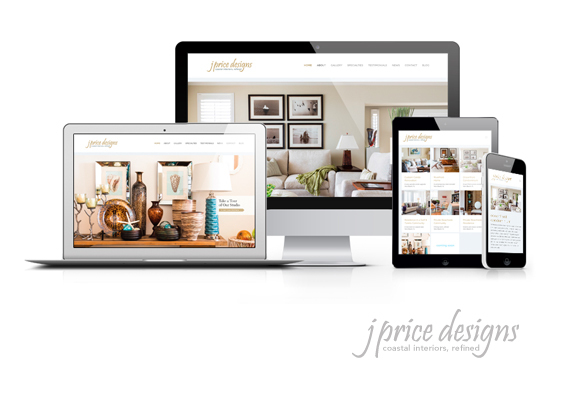 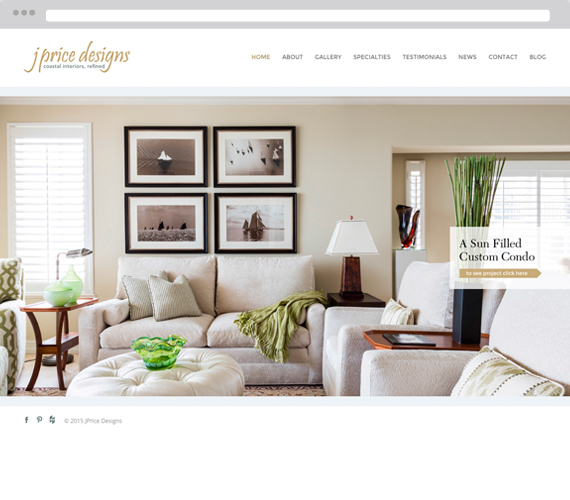 J Price Designs offers comprehensive interior design services that marry high style and true comfort with unwavering attention to detail and dedication to quality. 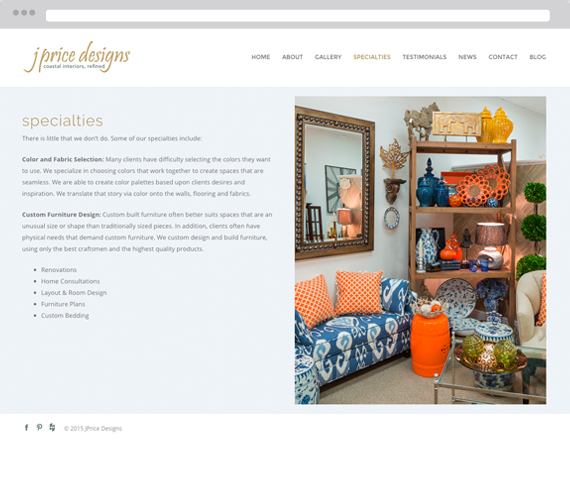 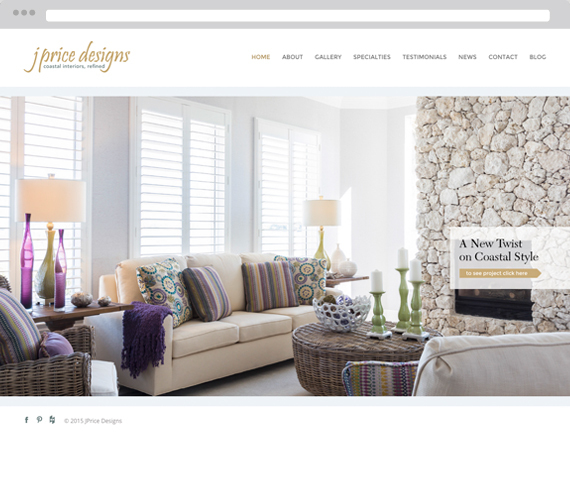 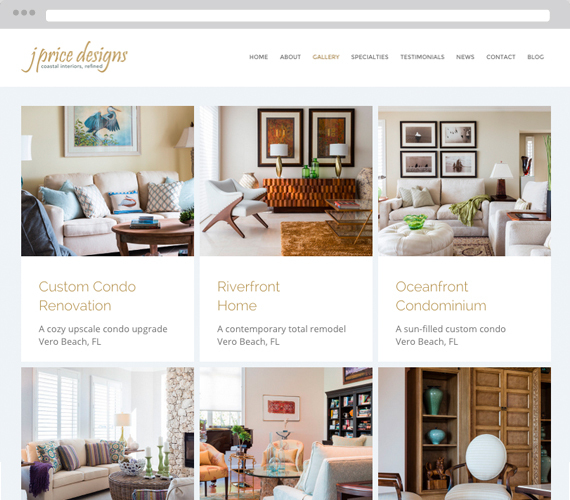 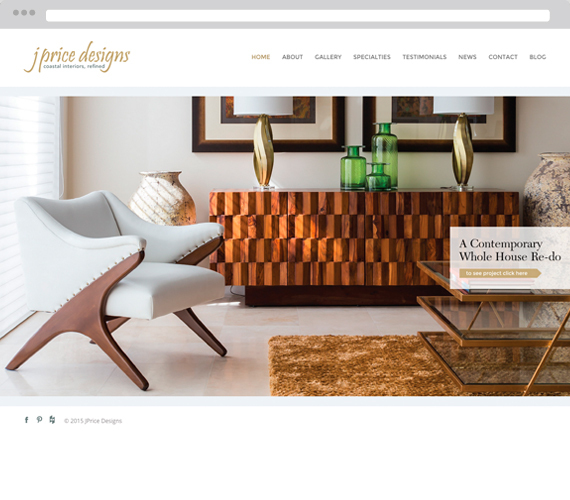 The mobile friendly site showcases the interior designer’s portfolio. 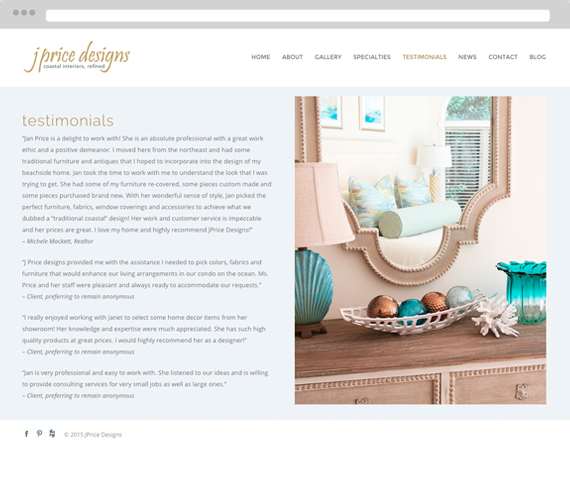 A Bethany Burt Design client.